HomeTopicsAt Home/DIYDesign | RemodelingHow Feasible Is It to Remodel Your Attic? In a few circumstances it just doesn't make sense to remodel or finish your attic space. The work required to meet code will be so costly that you will want to look at other methods of adding space to your home. So what are the deal breakers for remodeling an attic? Manufactured Roof Trusses. 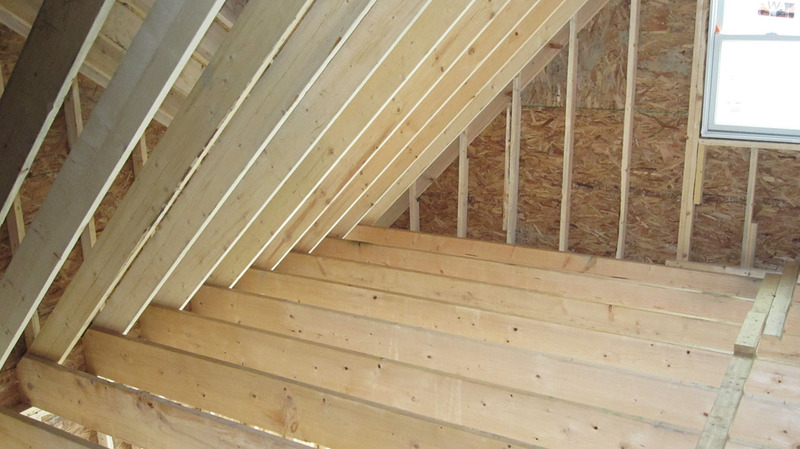 A quick peek into your attic will tell you whether you have manufactured roof trusses. Most of the homes built within the last 15 years or so have these trusses instead of the old rafter and beam setup. 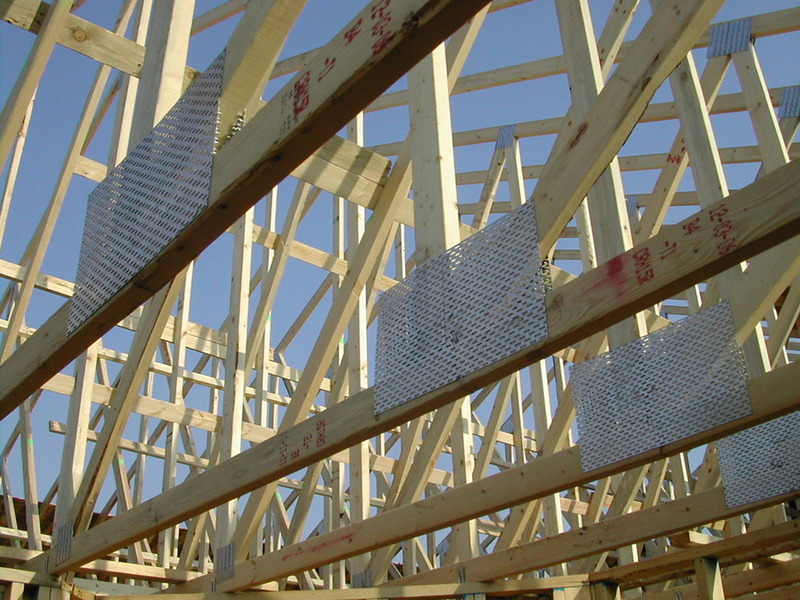 These trusses have webs or cross-members that are structural components supporting the roof and the ceiling below. 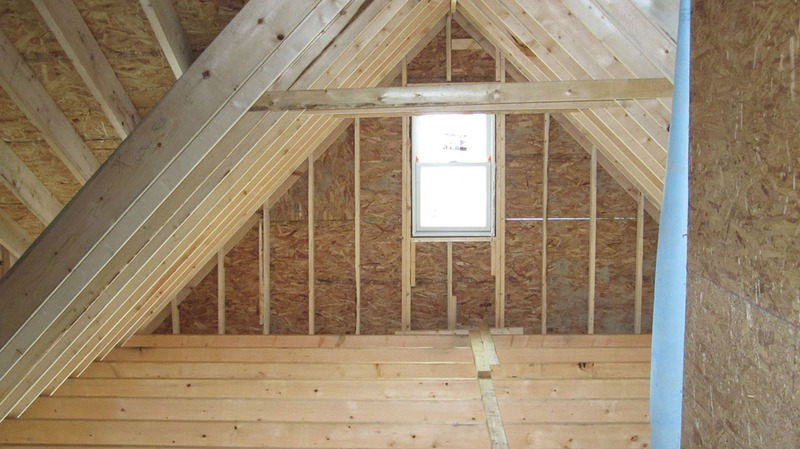 The truss webs would need to be removed in order to provide the necessary clear space for your attic remodel. Unfortunately, this can't be done ... at least in an affordable manner. If you have roof trusses, you will probably want to ditch the attic remodel and look at other options. Code Requirements. One code element that can make your attic remodel too expensive would be the 7' ceiling height requirement. According to the 2012 International Residential Code, rooms with sloped ceilings must have a minimum ceiling height of 7' for at least 50 percent of the floor area, and no portion of the floor area may have a ceiling height of less than 5'. In addition to this, your new finished space must be a minimum of 70 square feet and not less than 7' in any horizontal direction. If your existing roof pitch doesn't meet these code requirements, the only option you have is to raise the roof, which is very expensive and might not be allowed by your local zoning regulations. The zoning regulations for your community dictate how tall your home can be. Contact your local building or zoning department to find out what this requirement is for your neighborhood. You should be able to check to see if your attic will meet these requirements with a tape measure and some simple geometry. If you do go up to your attic, don't step on anything but the bottom cord of the trusses or the top of the ceiling joists – otherwise, you might fall through the ceiling. You may want to consider several other design criteria to determine if an attic remodel is right for you. First, you will need to locate a spot for the stairs to the attic. For a regular set of stairs, you will need a minimum of 36" in width with a 6' 8" head clearance. Where will you place the stairs going to your new attic? Do you have a second floor loft that has extra space? To get an idea of how much area the new stairs will need, take a look at the stairs to your basement or second floor. If the ceiling height is the same, the stair area required for the attic will be very similar. Another option for the stairs to your attic would be a spiral staircase. These can save space, depending on your current house design, because code usually only requires a spiral staircase to be 26" wide. If you absolutely have no space on the inside of your home for the stairs, you might be able to install them on the exterior, if your local zoning allows it and you don't mind looking at stairs on the outside of your home. You will also need to add a window that meets code egress requirements for your new attic living space. You need to provide a way to get in or out in case of a fire or other emergency. The minimum net clear opening needs to be 5.7 square feet and be no more than 44" off the floor. This is a good thing, as it will let in natural light and will provide some fresh air. Consider adding a second window for cross-ventilation, because attic spaces tend to be warmer than the rest of the home. If you end up with knee walls in your attic, consider adding built-ins to this space. You can take advantage of unusable space (areas with less than 5' in height) by creating some great looking built-in cabinets or shelving. If you decide to pull the trigger on your attic remodel, one thing your HVAC subcontractor will want to review is the capacity of the existing heating and cooling system. They will need to determine if your equipment needs to be upsized in order to properly heat and cool your finished attic. It can get expensive to add additional capacity. It can also get messy in that ductwork will need to be run from the location of the equipment to the attic. This typically requires cutting into the existing walls or adding a new framed chase to the current living space to accommodate the new ductwork. You will also need to get electrical wiring up to the new space. Check your main service panel to see if any extra knockouts are left for new breakers. Per code, you will need a minimum of one space per bedroom and a separate one for a bath. If the service panel has no space or if the incoming service line isn't large enough, it can get expensive to expand the panel and add a new line to your home. One other expense to consider with your attic remodel is the cost to run plumbing if you are adding a bath. Plumbing supply lines will need to be run up through the interior walls if you live in a cold climate. In addition, plumbing drains can be tough to run with existing framing. There is little flexibility when running drain lines, so some re-work might be required on the first and second floors. Provide a conduit (PVC pipe) from the electrical panel to the attic. This will allow you to easily fish wires for your future attic finish without cutting drywall. A PVC pipe can be run from the basement through a second floor ceiling for less than $100 while your new home is being built. 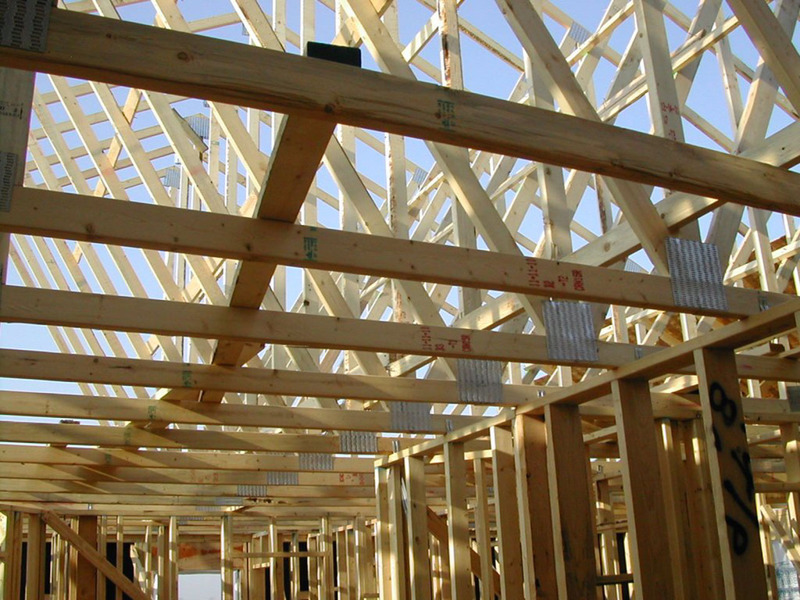 Design your roof trusses for future finish. Your truss supplier can design the trusses to provide open space to use for storage until you actually finish the attic. The supplier will also design the bottom cords of the trusses to support the future floor, furniture, people, etc. 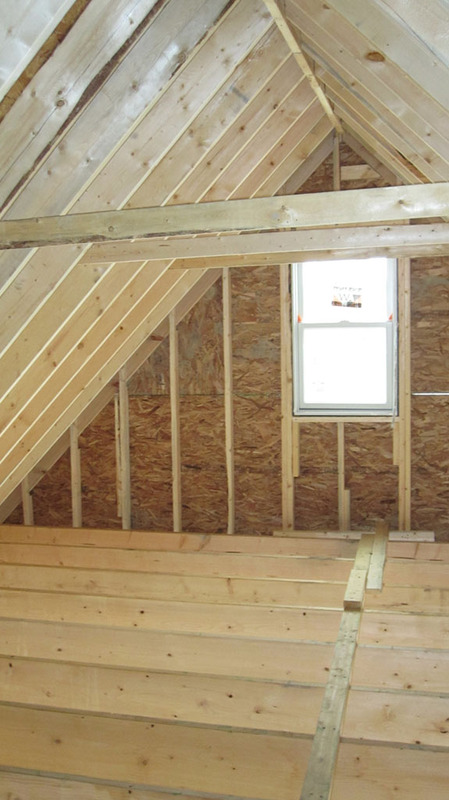 Add a window that meets egress requirements to the attic space. This will be good for letting natural light into your storage area until you remodel the space. When designing your new home, it's a good time to plan for the future stairs to the attic. Adding extra space to an upstairs hallway or loft will make future installation easier. When considering any home improvement project, it's important to look at the value the project will add to your home once completed. According to the Cost Vs. Value Report 2011/2012 from Remodeling Magazine, you will recoup 72.5% of the cost of an attic remodel when you sell your home. This actually tops the ever popular major kitchen remodel, which returns 65.7%. It's always a good idea to consult a local architect or building professional before plunging into an attic remodel. He or she will be able to review the existing foundation and framing to make sure the structure will support the additional loads.